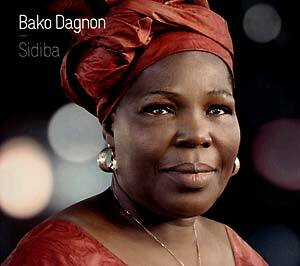 Bako Dagnon is one of Mali's premier Mande musicians, as well as a respected female griot. This is the follow-up to her highly-acclaimed international debut, 2007's Titati. The West African oral griot tradition of singer/storytellers evolved in the 13th century out of the heartland of the Mali empire, and has since produced many stars, but none quite like Bako Dagnon. She is a singer's singer. Her clear, soaring voice and rolling melodies mirror the savannah landscape where she was born, in the west of Mali. Bako sings with the authority, passion and wisdom born of having learned her craft the old way: not from recordings, as many young singers do nowadays, but at the feet of masters, deep in the countryside. As such, she may be one of the last griots to live according to the old ways of griotism, though she carries her message for the current age with a knowledge base that ranges from her native Biriko style, to the more lyrical Maninka music from Guinea to the Bambara style from Segou. Her songs sound deceptively simple; yet they are informed by a prodigious knowledge of Mande history and culture, with even Ali Farka Touré often consulting her and Banzoumana Sissoko, "the old lion" inviting her regularly to his house in the 1980s to sing famous old songs like "Janjon." She has the gift of bringing the old stories to life, making them sound utterly contemporary. She is the bridge between the old and the new. On Sidiba, the special character of her voice finds a new expressive freedom, with a subtle production that brings out the best in her voice and music. When Bako says something, you are compelled to listen.